The following is a crucial and highly welcomed Fatwa passed in the Holy city of Makka al-Mukarrama in 1987 on the validity of following (taqlid) one of the Four Sunni Madhhabs (Hanafi, Maliki, Shafi’i and Hanbali) with regards to Islamic rulings, as well as a warning to those who try to detract the common folk from this type of taqlid, and attack it in an odious way. It also warned against those who go to excesses in attempting to fanatically promote an anti-Taqlid stance and presumptuously attempt to re-interpret the Shar’ia especially when they have not reached any level of valid and recognised Ijtihad. It is an essential Fatwa to show that not only is taqlid allowed and valid, but that also following false beliefs is harmful to Islam. It is also pertinent that the Fatwa mentioned that the main cause of the fitna (mischief) of abandoning the taqlid of the valid Schools of Sunni law has been coming from the hands of young Muslims who lack the tools to really understand in a painstaking way why difference of opinion (ikhtilaf) in jurisprudential rulings (fiqh) occurred, and why they are permitted if the foundational principles (Usul) are valid in the first instance. Valid usul has been noted in the Four Sunni Madhhabs and all of them recognise each other as valid interpretations of Islamic law while the diametric opposite has been witnessed in those who are outside these Four Sunni Madhhabs, especially so if the detractors are not recognised as high ranking jurisprudents (fuqaha) of the genre known as Mujtahids. The Mujtahid being the one who has been recognised by other elite scholars to have the skill sets, high level of intellectual knowledge, proficiency of the sources of Islamic law and taqwa (fear of Allah) to extract independent legal rulings (Ijtihad). The sources of Sunni Islamic law are the Holy Qur’an, Sunna (Prophetic practice), Ijma (agreement of the Sahaba or Mujtahid scholars in a specific age) and Qiyas (analogical reasoning). What is pertinent and noteworthy is that this Fatwa was endorsed by some of those who are looked upto by various groups of those who are generally anti Sunni Madhhabs. Such names include the late Saudi Grand Mufti, Abdal Aziz ibn Baz (d. 1999), the late Bakr Abu Zayd and currently alive Salih al-Fawzan. All three named are said to be Hanbali in fiqh though their personal aqida is another matter as they are looked upto as being representatives of the so called Salafi way of this age by certain strains of Salafism. Some of the other signatories are from other parts of the Muslim world, and a number of them are also well known scholars who have now passed away. The footnotes have been added by the compiler of these lines, in order to clarify what the veritable scholars of the past have said with regards to the obligation of taqlid for all non-Mujtahids, the Ijma (consensus) recorded on the taqlid of only one of the four Sunni Madhhabs; who are the real followers of the Saved sect known as Ahlus Sunna wal-Jama’ah in this age and the past by means of scholarly quotations from elite authorities. The following Qur’anic verse is one of the evidences used by the great Scholars of the past to establish Ijma (consensus) as a source of Islamic law. Here follows the Fatwa and the reader is advised to download the pdf file at the end as it has the orignal Arabic Fatwa with the English edition with the names of the signatories in both languages. Praise be to Allah alone, and peace and blessings be upon the last of the Prophets, our Master, Sayyiduna Muhammad. May Allah bestow peace and blessings upon him, his family, and his Companions. 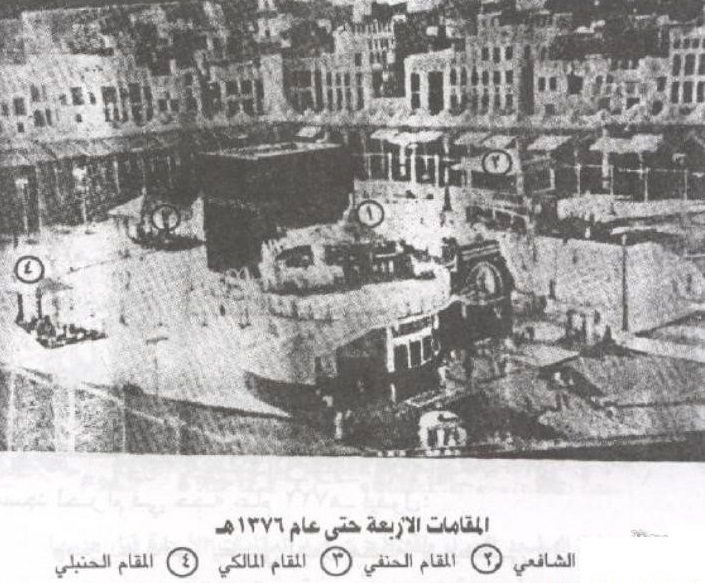 The Assembly of the Islamic Fiqh Academy, in its tenth session, convened in Makkah al-Mukarramah, for the period between Saturday 24 Safr 1408/17 October 1987 and Wednesday 28 Safr 1408/21 October 1987, has considered the issue of juristic differences between the schools of law (madhahib), and the contemporary fanaticism of followers for their own schools, which goes beyond time bounds of moderation and reaches the point where the perpetrators attack the other schools and their scholars (ulama). The Assembly examined the problems which arise in the minds of the youth of this age and their ideas surrounding the differences between the schools of law, of which they do not know the basis or the significance. Those who mislead them give them the idea that so long as Islamic Law is one, and its foundations in the Sublime Qur’an and the Prophetic Sunnah are also united, why then are there differences between the Schools of Law? And why are they not united so that the Muslims have before them only one school of law and one understanding of the Shari’ah? The Assembly also examined the issue of fanatical adherence to the schools of law and the problems which result from it, especially among some contemporary currents in our time, whose followers call for a new line of independent legal reasoning (ijtihad). They attack the established schools of law, which have been accepted by the Ummah since the beginning of the Islamic era and [they attack] their Imams—or some of them—wrongly, and sow seeds of discord (fitnah) amongst the people! With regard to the second [kind of difference], that is, differences in terms of fiqh on some issues, there are technical reasons which have necessitated this. Allah, praised be He, has put profound wisdom in this, which includes mercy upon his servants and widening the scope for deriving rulings from the texts. Furthermore, it is a blessing and a juristic and legal treasure, which affords the Muslim Ummah breadth in matters of religion (din) and law (Shari’ah), so that it is not confined to applying a single legal ruling, for which there is no alternative. Rather, if the Ummah finds hardship in the position of one of the jurist Imams at a particular time or regarding a particular matter, they find in the position of one of the other Imams a range, a leniency and an ease, whether in matters of worship, or in dealings with others, family matters, or justice and crime in light of legal evidences. This second kind of difference of schools, that is, differences in terms of fiqh, is not a deficiency or a matter of contradiction in our religion, and it is impossible for it not to exist. There can be no community (ummah) whose legal system is perfect, including its jurisprudence (fiqh) and independent legal reasoning (ijtihad), in which such differences of opinion do not exist regarding jurisprudence and independent legal opinions. The reality is that these differences are inevitable, because the source texts often hold more than one meaning. In addition, the text cannot contain every eventuality, since the texts are limited, whereas the eventualities are unlimited, as expressed by a group of scholars. Consequently, it is necessary to resort to analogy and to examine the pretexts for rulings; the objective of the Legislator: the general aims of the Law; and the application of these in actual and new circumstances. In this the understanding of the scholars differs, as does their allocation of preference between the various possibilities. Their rulings on the same issue therefore differ, although each of them is aiming and searching for the truth. Whoever finds it has two rewards; whereas whoever is mistaken has one reward. As a result the [juristic] scope widens and the narrowness disappears. Where then is the deficiency in the existence of these differences of position? We have shown the benefit and the mercy that is in them, and that they are in fact a blessing and a mercy from Allah to his believing servants, and at the same time a great source of legislative wealth, a feature worthy of the pride of the Muslim Ummah. However, [there are those] misleading foreigners who seek to exploit the weakness of the Islamic culture of some Muslim youth, especially those who study with them abroad. Therefore, they depict these differences of position in terms of fiqh as if they were differences of belief, in order to give them the impression — wrongly and falsely – that it indicates a contradiction within the Shari’ah, rather than apprehending the distinction between the two types [of difference] … and how different they are! May Allah bestow peace and blessings in abundance on Sayyiduna Muhammad, his family and Companions. Praise be to Allah, Lord of the Worlds. (i) RESOLUTION OF THE ASSEMBLY OF THE FIQH ACADEMY IN ITS TENTH SESSION (1987). See – Al-Majma al-Fiqhi al-Islami (The Islamic Fiqh Academy), 1(2), pp.233-237. English translation taken from The Influence of the Noble Hadith upon the Differences of Opinion amongst the Jurist Imams by Shaykh Muhammad Awwamah, Turath Publishing, London, 1st edn, 2014. Original Arabic fatwa may be downloaded from – here. It has also been appended at the end of this English version. (ii) The true followers of the Saved sect known as Ahlus-Sunna wal-Jama’ah in this age are the adherents of one of the Four Madhhabs in Jurisprudence (Hanafi, Maliki, Shafi’i or Hanbali), and in terms of Aqida (Islamic creed) they accept, respect and adhere to one of the following legitimate schools described below which all recognise each other. The Hanbali scholar known as Abul Faraj ibn al-Jawzi (d. 597 AH) was one of those who refuted the false claimants to the real Hanbali creed in his Kitab Akhbar al-Sifat and its abridgement known as Daf’ Shubah al-Tashbih bi-Akaff al-Tanzih. Both of these latter works are also available in English nowadays. “Consensus has been established upon taqlīd of every one of the Four Schools and that the truth does not lie outside of them.” (Vol.11 p.169, Dar al-Kutub al-‘Ilmiyyah). Imam ibn Rajab al-Hanbali writes in his book: “Refutation of anyone who follows other than the four schools” [A title that emphatically exposes the deception of the Salafi claim that it is they who represent true Islam]:“…that is the Mujtahid, assuming his existence, his duty (Farduhu) is to follow what becomes apparent to him of the Truth. As for the non-Mujtahid his duty is taqlīd.” Elsewhere having indicated in the latter the rarity of the lofty status of ijtihād, he states: “As for all other people who have not reached this level (of ijtihād), it is not allowed (lā yasau‘hu) for them but to do taqlīd of these Four Imams and to submit to that which the rest of the Ummah submitted to.” (Majmoo‘ al-Rasail Ibn Rajab, vol.2 p. 626 and p.624 respectively). “The consensus of the Muslims has been established upon the obligation (Wujub) of following one of the four Imams today; Abu Ḥanīfa, Malik, Shafi and Ahmad- May Allah be pleased with them… What we explained before, in terms of the obligation of following one of the four Imams, is in relation to those who do not possess the capability of performing ijtihād.” (vol.2 p.574, Bab Fi al-Ruyah wa al-Tathāub, 1997). Thanks and appreciation to the original translators of many of the above quotes. Great work. May Allah accept.